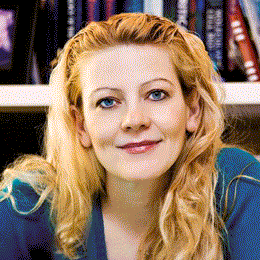 Paraskevi Katsaounou is an Assistant Professor of Pulmonary Medicine at the National and Kapodistrian University of Athens school of Medicine. She has her Phd on oxdative stress effects on Human respiratory System and a post Doc at NHLI at Imperial College of London. She has an enormous clinical and research experience working in the largest hospital in Greece and the Balkans as well as in Pharma (as a recipient of an ERS fellowship in industry). Besides her daily teaching experience where she teaches 5th year Medical students on Respiratory physiology, she currently supervises 5 PhD students working on Smoking Prevention and Cessation and operates a model smoking cessation clinic which runs for 12 years. She has worked in various capacities as Chair of Smoking Cessation and Public Health of Hellenic Thoracic Society (HTS) for six years, Chair of Smoking Cessation and Health Education of the European Respiratory Society for three years (ERS), Member of the Tobacco Control Committee of ERS, consultant experts to the Greek MoH on Tobacco control issues – driving policy standards on tobacco control- and currently Chair of Respiratory Infections of HTS. Momentarily, she is very active in Public health promotion (smoking prevention at schools, vaccination, use of antibiotics, pollution etc). As a seasoned smoking Cessation trainer for HTS, ERS and WHO with a Mayo Clinic Tobacco treatment Specialist Certification, she is the coordinator of Train The Trainer (TTT) Project of WHO-ERS. She speaks Greek, French and English fluently.